ST. PETERSBURG, Fla. — As the economy strengthens, it becomes harder and harder to maintain the nation’s force of school bus drivers. Simulator training can help school districts train much-needed new drivers quickly and effectively. According to a recent survey, in fact, 22 percent of private bus contractors call the driver shortage “severe,” and 5 percent describe it as “desperate.” The director of transportation for Douglas County school district in Colorado, Donna Grattino, noted that bus driving is not as attractive an occupation as it might recently have been. In Texas, meanwhile, state government has turned to what is proving to be an at least partial solution to the problem. A group of prospective school bus drivers in the town of Atlanta, in the northeastern corner of the state, for example, are being trained behind the wheel of a state-of-the-art virtual training simulator, where they are taught how to handle—and recover from—a series of worst-case scenarios. 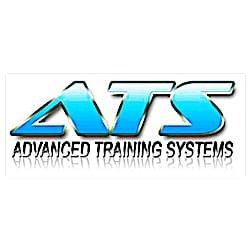 About Advanced Training Systems, LLC. Osunsami, Steve, “School Bus Driver Shortage Across the US Sparks Growing Concern,” ABC News, August 15, 2017.